• John Baez and Jade Master, Open Petri nets. Last time I explained, in a sketchy way, the double category of open Petri nets. This time I’d like to describe a ‘semantics’ for open Petri nets. from our double category of open Petri nets to a double category of relations. This map sends any open Petri net to its ‘reachability relation’. In Petri net theory, a marking of a set is a finite multisubset of We can think of this as a way of placing finitely ‘tokens’—little black dots—on the elements of A Petri net lets us start with some marking of its places and then repeatedly change the marking by moving tokens around, using the transitions. This is how Petri nets describe processes! People say one marking is reachable from another if you can get it using a finite sequence of transitions in this manner. (Our paper explains this well-known notion more formally.) In this example every marking has 0 or 1 tokens in each place. But that’s not typical: in general we could have any natural number of tokens in each place, so long as the total number of tokens is finite. This relation holds when we can take a given marking of feed those tokens into the Petri net move them around using transitions in and have them pop out and give a certain marking of leaving no tokens behind. 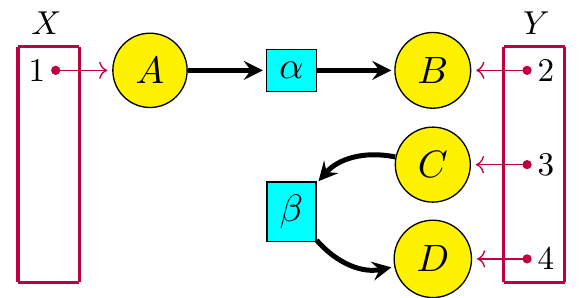 where is a double category having open Petri nets as horizontal 1-cells and is a double category having relations as horizontal 1-cells. I can give you a bit more detail on those double categories, and also give you a clue about what ‘lax’ means, without it becoming too stressful. • any set to the set consisting of all markings of that set. • any morphism between Petri nets to the obvious map between their reachability relations. if we restrict the reachability semantics to a certain specific sub-double category of consisting of ‘one-way’ open Petri nets. 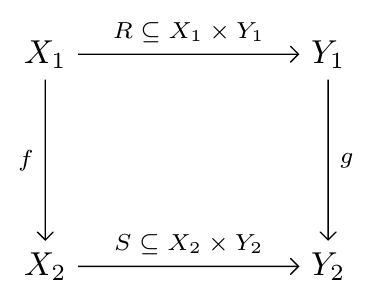 is a lax double functor, we also show that it’s symmetric monoidal. This means that the reachability semantics works as you’d expect when you run two open Petri nets ‘in parallel’. In a way, the most important thing about our paper is that it illustrates some methods to study semantics for symmetric monoidal double categories. Kenny Courser and I will describe these methods more generally in our paper “Structured cospans.” They can be applied to timed Petri nets, colored Petri nets, and various other kinds of Petri nets. 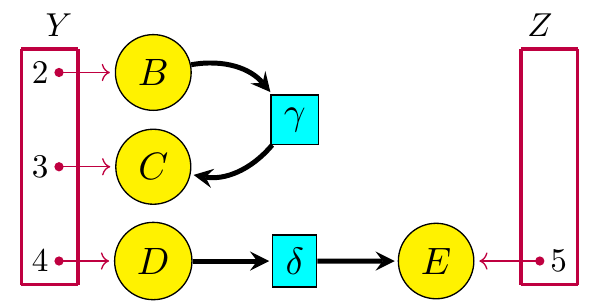 One can also develop a reachability semantics for open Petri nets that are glued together along transitions as well as places. I hear that the company Statebox wants these and other generalizations. We aim to please—so we’d like to give it a try. 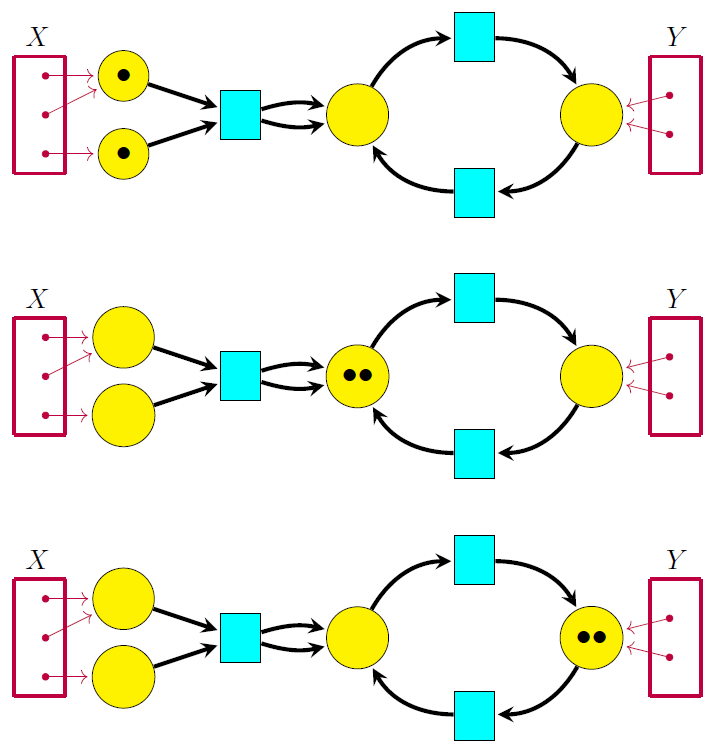 Next time I’ll wrap up this little series of posts by explaining how Petri nets give symmetric monoidal categories. • Part 1: the double category of open Petri nets. • Part 2: the reachability semantics for open Petri nets. 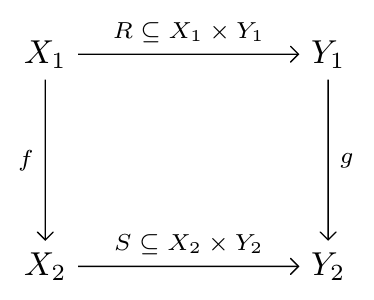 • Part 3: the free symmetric monoidal category on a Petri net. 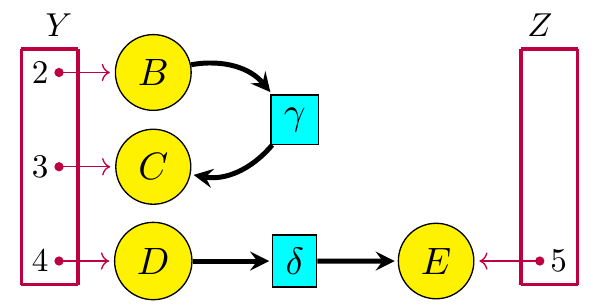 This entry was posted on Saturday, August 18th, 2018 at 9:00 am and is filed under computer science, mathematics, networks. You can follow any responses to this entry through the RSS 2.0 feed. You can leave a response, or trackback from your own site. A loop like this describes a transition where something turns into itself. 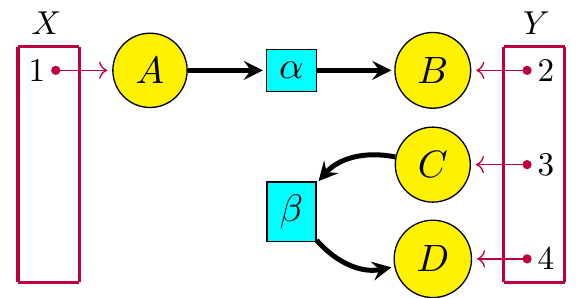 Such transitions can be removed from a Petri net without affecting reachability. If reachability is our only concern, then certainly we can ignore self loops. But if thermodynamics is of any concern, self loops are a way to model a thermodynamic engine. In a factory, the engine doesn’t start when you put a part in the input queuing place to a transition that models a machine. The thermodynamic engine starts when you put a token in the “self” place. To stop the thermodynamic engine, remove the token from the “self” place. Regarding chemistry, that might be of interest for models of biological systems, which involve thermodynamics. Unless I misunderstand reachability (which is quite possible), then the laxness should be , rather than the other way around. That is, if something&apos;s reachable by going through after going through , then it&apos;s reachable by going through , but additional zigzag reachings may also exist in . Also, shouldn&apos;t the chemistry diagrams have some nodes with more than mark in them? Not in the original diagram, but in the later ones, if each is supposed to be reachable from the previous one. I should have written I’ll fix that—thanks! I hope I didn’t get it twisted around in the actual paper. Also, shouldn’t the chemistry diagrams have some nodes with more than mark in them? Not in the original diagram, but in the later ones, if each is supposed to be reachable from the previous one. So, there’s always at most one token in each place in this story. That’s not true for all such stories, so this example is unrepresentative, but I think I’ve got the chemistry basically right: atoms of each kind are being conserved. Thanks, l understand what the chemical example is showing now. Okay, good. I’ve added my explanation to the blog post to make it clearer.